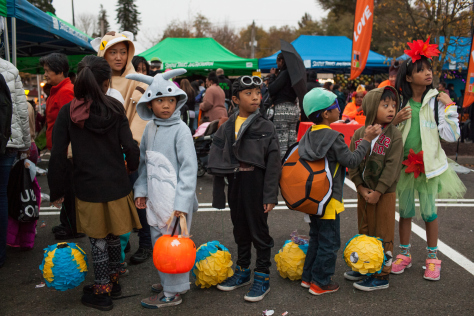 The biggest free Halloween event in the entire region, Boo Bash at the Beach is a fun, safe Halloween Party and Trick-or-Treat event held in the well-lit, flat parking lot of Rainier Beach Safeway and on the closed portion of 52nd Ave South, next to McDonald’s. Boo Bash has entertainment, magic, Thriller Dancing, and storytelling. Open to all kids, and kids-at-heart! Before Boo Bash, the Rainier Beach area of SE Seattle had long been a crime “hot spot”. Gun violence was a way of life, and on Halloween. Parents took their kids to the mall, to other neighborhoods or they didn’t allow them to trick or treat in our area. But the City of Seattle, neighborhood organizations, citizens and businesses have reclaimed our community with Boo Bash and numerous special events, safety efforts, park improvements and beautification projects. Boo Bash works! By involving our entire community, there were zero incidents of gunfire or violence reported on Halloweens from 2014-2017. ZERO! Come visit the ACLU table for Know Your Rights information, stickers and treats!